Katy has held posts at a number of prestigious institutions including the University of Liverpool and the University of Leicester where she currently holds an Honorary Research Fellowship at the Centre for Urban History. In Autumn 2014 she was awarded a Caird Short-Term Research Fellowship at the National Maritime Museum. 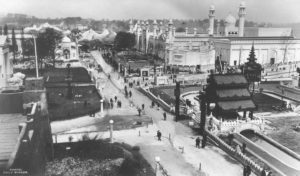 Building on my past research into the symbolism and representation of public parks and their role in shaping civic and national identities, my current research examines the constructed landscapes of World’s Fairs and international expositions between 1851 and 2010. 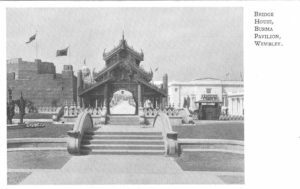 Historians of the World’s Fair phenomenon have commonly taken an asymmetric approach to the subject, focusing almost exclusively on the manner in which host nations such as Britain, France, and the United States imposed their own visual and spatial vocabularies on the nations and peoples exhibited. As a result, many scholars have obfuscated the powerful imagery of cooperation, anti-imperialism, and individualism present in these events. 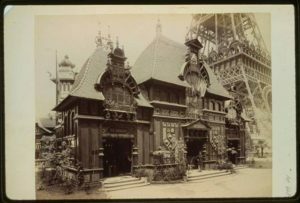 My current project seeks to redress this preterition and recalibrate prevailing wisdom regarding the visual and spatial vocabulary of World’s Fairs, expositions, and the urban landscapes they forged. The project analyses sites and events such as the British Empire Exhibition, Wembley (1924-5), the Crystal Palace (1911), and Shanghai (2010). While the project acknowledges the political and economic function of these events, the research focuses primarily on the ‘soft’ politics of cultural representation, spectacle, and performance. (Read the full research outline here). In 2013 English Heritage commissioned Katy to provides a précis of recent research in the field of urban parks, designed landscapes and open spaces. Communities and park managers had endured decades of uncertainty regarding their local parks and many had lost battles to protect historic green spaces from development, vandalism and decline. While the historical significance of these landscapes is being challenged, the need to research the history and reassert the historical and contemporary significance of urban parks and designed landscapes is pressing. Following on from that report, in 2015 Historic England commissioned a report from Katy into past funding and management models for public parks. Her research findings show a long history of funding problems but also the important role of local authorities in developing, and often rescuing parks, and delivering public parks for all over 170 years. In 2016 The Gardens Trust commissioned Katy to provide an update on the condition of public parks since the publication of Public Prospects: Historic Urban Parks Under Threat in 1993. The work revealed that much has been achieved, particularly with the help of the HLF. However, the research also found that many parks now face a desperate future as a result of local authority spending cuts. The effect of these varies widely between authorities with some predicting an end to parks maintenance, others seeking to make parks self-financing, and many pinning their hopes on the voluntary sector. In July 2016, the House of Commons Communities and Local Government Select Committee announced a new inquiry into the state of public parks. The Gardens Trust submitted a memorandum, prepared by Katy. Historic England also included her report on funding models in its submission to the inquiry. Katy was called as an expert witness to appear before the Parliamentary Select Committee in November 2016. The Liverpool Parks and Open Spaces Project was funded by the ESRC and hosted by the School of History at the University of Liverpool. The aim of the project was to examine the design, function, use and misuse of the city’s parks and open spaces from the eighteenth century to the 1980s. The project provided historians and parks professionals with a detailed understanding of this hitherto neglected aspect of the urban environment and prompted spin-off research projects and publications funded by English Heritage. From 2009, my research into public parks continued at the Centre for Urban History, University of Leicester. Visual Representations of Provincial Urban Sites in England, 1790-1860. (PhD, University of Cambridge). Throughout the early nineteenth century, the reorganisation of the traditional urban hierarchy was mirrored by the evolution of a new visual vocabulary with which the urban scene was articulated. My research thesis employs prints, pictorial ceramics, advertisements, exhibition displays and other forms of ephemeral visual imagery to access and analyse changing attitudes towards, and perceptions of, provincial towns between 1790 and 1860. The thesis is structured around three central objectives. The first is to redress the dominance of the late nineteenth century in current narratives of urban development, and to reposition the early decades of that century as a distinct and significant period in the definition and visualisation of urban England. The second objective, related to the first, is to challenge the all too pervasive dependence of historians upon a polarity of celebration and despair when characterising nineteenth-century attitudes to provincial urbanisation. The third aim of this research is to award visual evidence a more prominent position in urban history. While it is not the intention to contest reasonable reservations about the limitations of visual material, this thesis interrogates the range of fluctuating, and sometimes contradictory, values displayed in images of specific sites and conurbations in general. These objectives are realised in four main chapters, which address distant townscapes, images of industry, images of infrastructural development, and images of urban culture. Although disparate in their design and use, the images consulted constitute a representative sample of the imagery produced and viewed during the period. Combined, they present a diverse and informative body of evidence, which challenges much received historical wisdom about nineteenth-century attitudes towards provincial urbanisation. Pictorial Representations in the Eighteenth-Century Women’s Periodical, the Lady’s Magazine, 1770 – 1800. (MPhil, University of Cambridge). My MPhil research focused upon the illustrations published within George Robinson’s Lady’s Magazine 1770 – 1800, including landscapes, topographical views, and portraits. The dissertation incorporates a database of the magazine’s illustrations over a thirty-year period and provides a bibliography of extant examples.